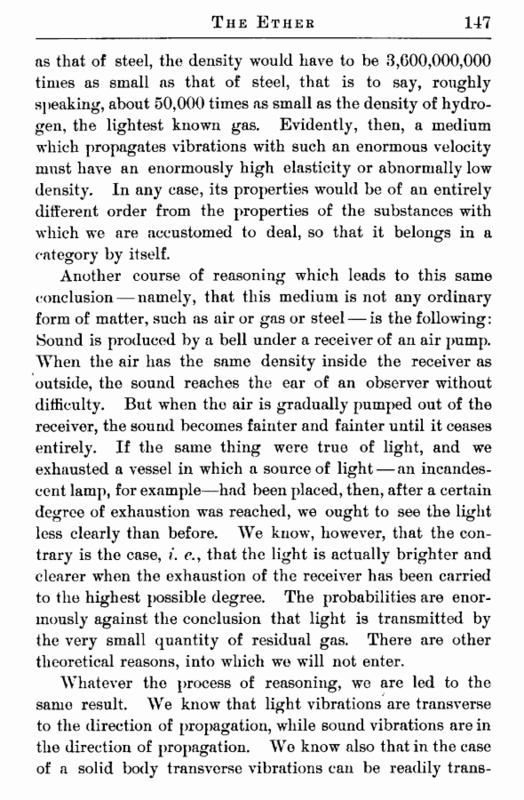 The velocity of light is so enormously greater than anything with which we are accustomed to deal that the mind has some little difficulty in grasping it. A bullet travels at the rate of approximately half a mile a second. Sound, in a steel wire, travels at the rate of three miles a second. 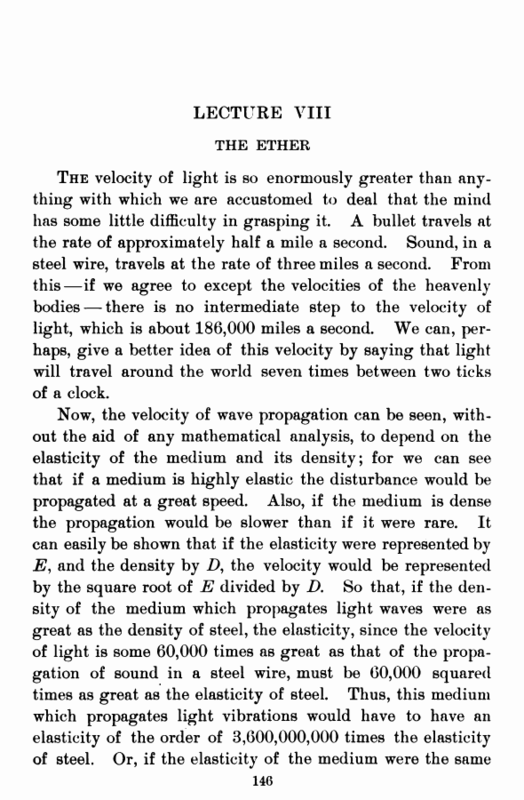 From this—if we agree to except the velocities of the heavenly bodies — there is no intermediate step to the velocity of light, which is about 186,000 miles a second. We can, perhaps, give a better idea of this velocity by saying that light will travel around the world seven times between two ticks of a clock.